The Russian Defense Ministry has announced that it will intensify combat training in the armed forces 1.5 times during the summer months, in comparison to the war games that were held during the winter season. “On June 1, 2015 the summer training period starts within the Armed Forces of the Russian Federation. The intensity of the forces’ combat training will increase 1.5 times as compared to the winter period,” the ministry said in a statement. The training is scheduled to last until the end of November and will be focused on joint tactical and cross-branch exercises. The planned drills are part of a series of Russian military maneuvers taking place amid international tensions over the Ukrainian crisis and NATO’s military buildup near Russia’s borders. 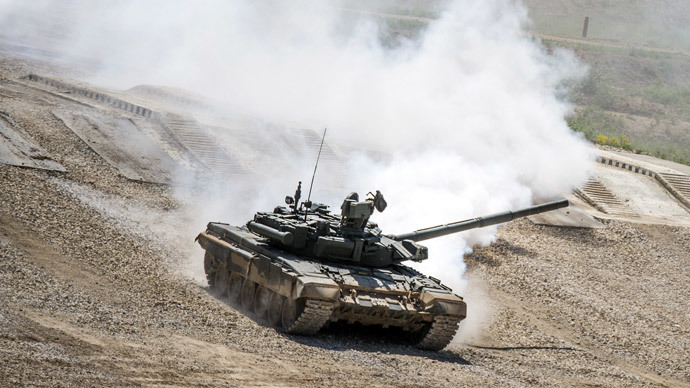 The main objective of the summer training period 2015 will be the preparation of troops for the "Center-2015" exercise scheduled for September. Russian troops will also take part in "Union Shield-2015" military games with the armed forces of Belarus. Those drills are also scheduled for September. The Russian army will also show their skills during the "Army-2015 international games" scheduled for August. Over 2,000 military drills were held in Russia in the winter training period this year across 130 polygons. The ministry also added that the number of bilateral drills grew by almost 45 percent.